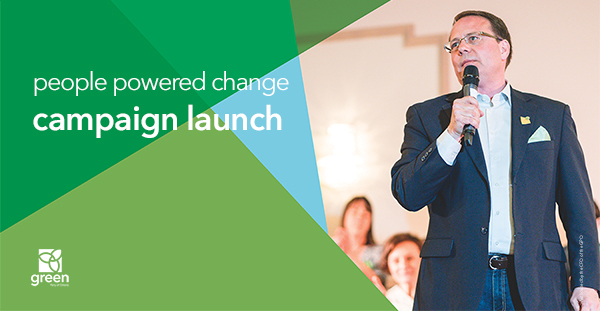 On Thursday, May 10th, Mike Schreiner, Leader of the Green Party of Ontario, will be launching our official campaign for the 2018 provincial election. Come celebrate with us as we kick off the biggest campaign we’ve ever run in Green Party history! We’ll have lots of excitement as the writ drops and the election is officially underway. Make sure to wear Green so we can show Ontario that the Green Wave is here. The event is free, but spots are limited so RSVP today. Please list anyone else who will be attending with you.